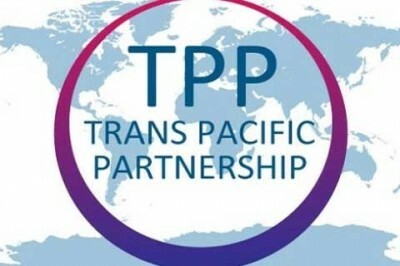 One of the conspicuous absences from the sound and fury last weekend’s protests was the impending executive act of President Donald Trump affirming the US exit from the Trans-Pacific Partnership Agreement. Not that that was much in doubt: it had not been ratified nor voted upon in Congress, and that particular body had been cooling towards it. It was a blow in favour of the populist platform, sharpened by debates on the Left and Right of the political spectrum. It was more than a generous nod to the collective campaigns that had effectively reshaped and kitted out the anti-globalisation effort with teeth. While Trump would have little trouble with rapacious business practices, he wishes them to be unilaterally smothering with an American ideal. As Trump proclaimed in June, “Not only will the TPP undermine our economy, but it will undermine our independence.” The twin elements here are important: the potential damage to the worker, and the constrictions of a collective deal on sovereignty. But such commentators as Alana Semuels see in the TPP a blueprint in advancement on a range of fronts, one that would have “established stringent labour and environmental laws in other countries that could have driven up the cost of labour there, thus making American workers more appealing.” This wishful thinking has prevailed in quarters which have assumed a progressive goal behind the TPP, despite its prolonged secrecy and restriction to corporate interests. Free trade deals continue to attract faithful adherents, with faith taking the place of empirical thinking. Then came the geopolitical barb in the agreement, which was always sharply directed against the trading prowess of China. Excluding China would effectively mean a rival, countering bloc in the Asia Pacific, enabling, as President Obama kept insisting upon, a monopoly on the part of the US over the drafting of trade rules. This freedom of action is precisely the sort that sets such trading powers as Japan on edge. Long immunised against deep penetration from US products, any tariff war initiated by the Trump administration is bound to be half baked in effect. Aged veterans of the trade wars of the 1980s would be aware of the various techniques of coping with protectionism. The clever Japanese approach here was to build manufacturing bases in the US to evade protectionism. Not only did Japan come through the Gold Door – it entrenched itself in the market. Unilateral, patriotic assertions in the field of trade and manufacture often tend towards brawling. Immediately prior to Trump’s inauguration, Shinzo Abe’s government ratified the TPP agreement, seeing it as panacea for a crawling domestic economy and a change to lure the US deeper into the Asia-Pacific.China’s shadowing influence in the region remains a key concern. The obituary of rampant free trade ideology is by no means written, though it has received crippling pneumonia of sorts courtesy of Trump’s signing hand. It was the outcome favoured by Sanders and Clinton herself, and in that, there can be little complaint. He proceeded to hand out a branch of cooperation, suggesting that he would be “delighted to work” with the President provided Trump was “serious about a new policy to help American workers”. Again, the worker, and more precisely working families, were the populist themes. They were far from the only ones, with Clinton having vanished into the shadows and Obama sliding into the night. Democrats fear that their traditional constituencies will get away from them in the festive lynching neoliberalism has encouraged. How the Trump vision squares with assisting the sainted US worker will be more than basic curiosity. The Chinese now have the chance to embrace a collective free trade deal as an alternative, filling the vacuum left by Trump’s America First populism. From looking to Washington, the 11 trade powers may well start sauntering over to Beijing, if only tentatively. It is with some historical irony that a communist state should be the new standard bearer for free trade, but geopolitics is a funny business. As is America First.